Each year John C. Campbell Folk School has a free event of kids, it is not just another Christmas event, this is a special mountain Christmas experience. 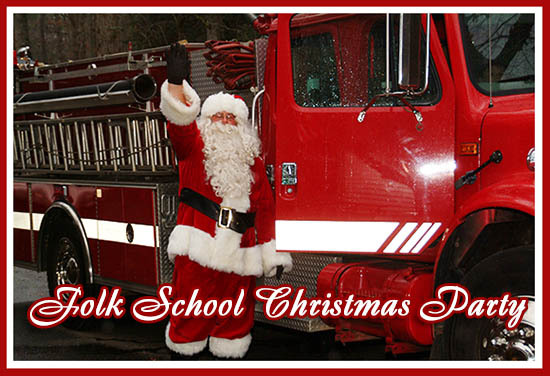 A visit from Santa on a fire truck, plus games, music, dancing, story telling and refreshments. This event is for kids of all age from Grandmas and Grandpas to Moms and Dads and down to the younger Kids as well. A wonderful family event...join us in the mountains.